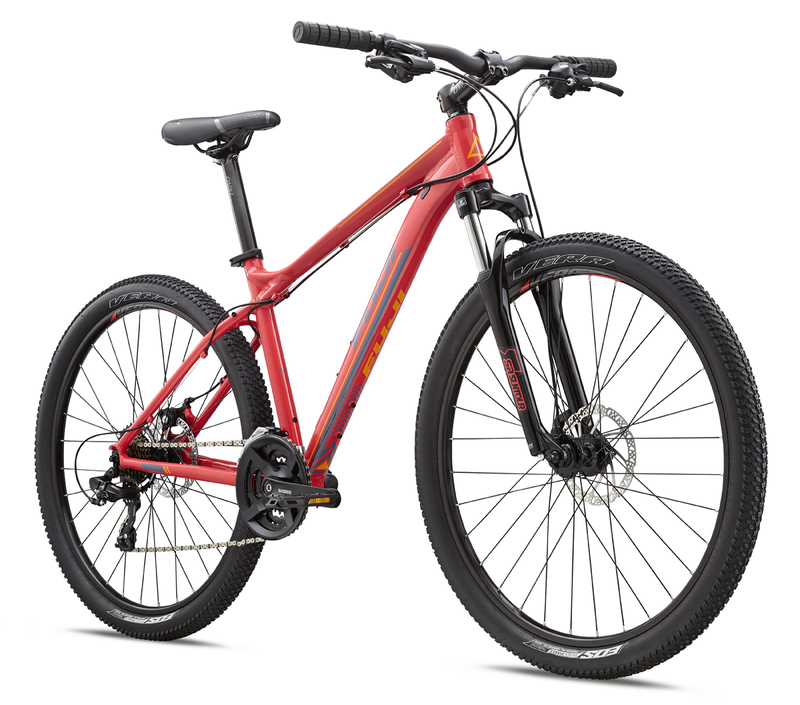 Womens Bikes | FUJI 2018 ADDY 27.5 1.9 | ADDY 27.5 1.9 | FUJI 2018 | BikeShopWarehouse.com | The Fuji Addy is here to make your first and every ride a great ride. The Fuji Addy is here to make your first and every ride a great ride. The Women's Specific touchpoints and geometry ensure you'll be comfortable when hitting the single track and that the ride will be fast and fun. There's nothing like a leisurely mountain bike ride. It's fun, you get some exercise, and you learn or enhance a skill. 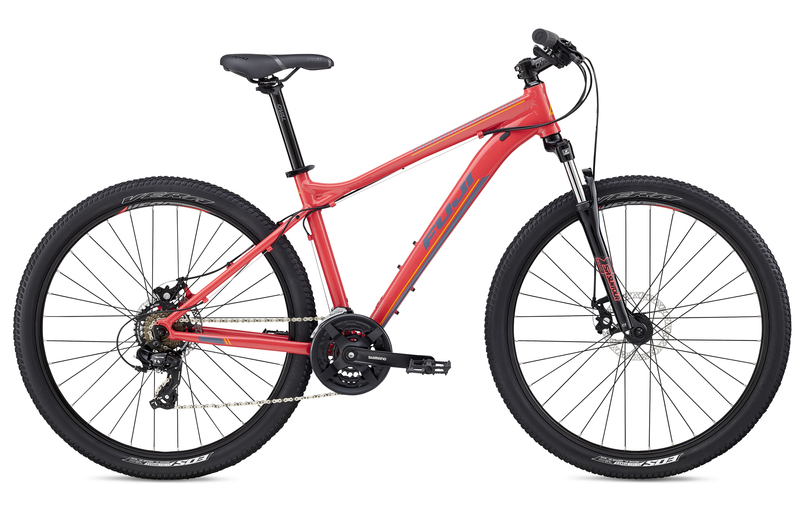 The Fuji Addy 1.9 27.5 Women's Specific mountain bike is all about enjoyment and it features a lightweight aluminum frame, Shimano components, Tektro disc brakes, and plenty of suspension fork travel. The Fuji Addy 1.9 is designed with Fuji's A2-SL custom aluminum and PowerCurve down tube. The PowerCurve adds beefy support against trail impact and improves handling. The SR Suntour 27.5" fork has a 75mm of travel to take the sting out of uneven surfaces and ruts. 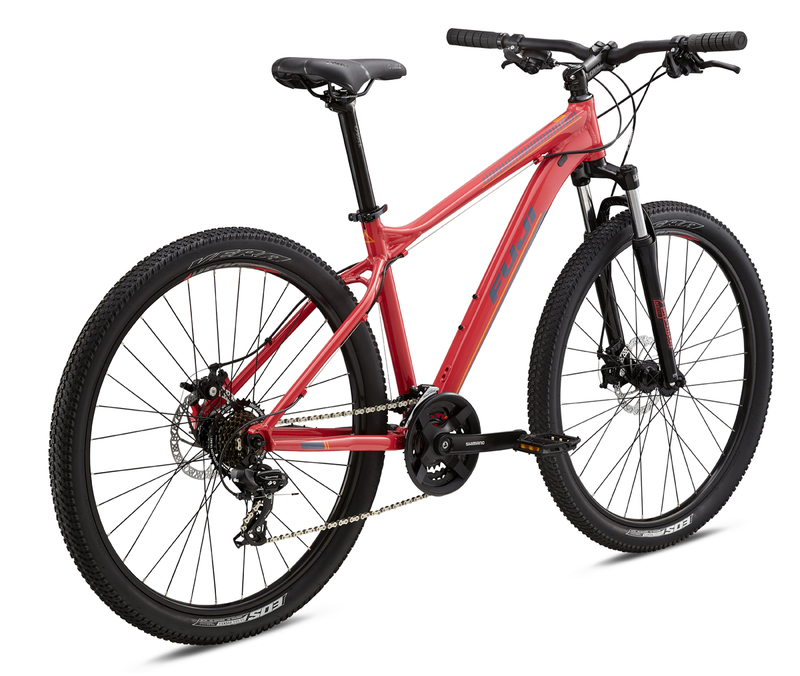 The frame and fork are equipped with Tektro mechanical disc brakes that will give you the sure stop you need & want. 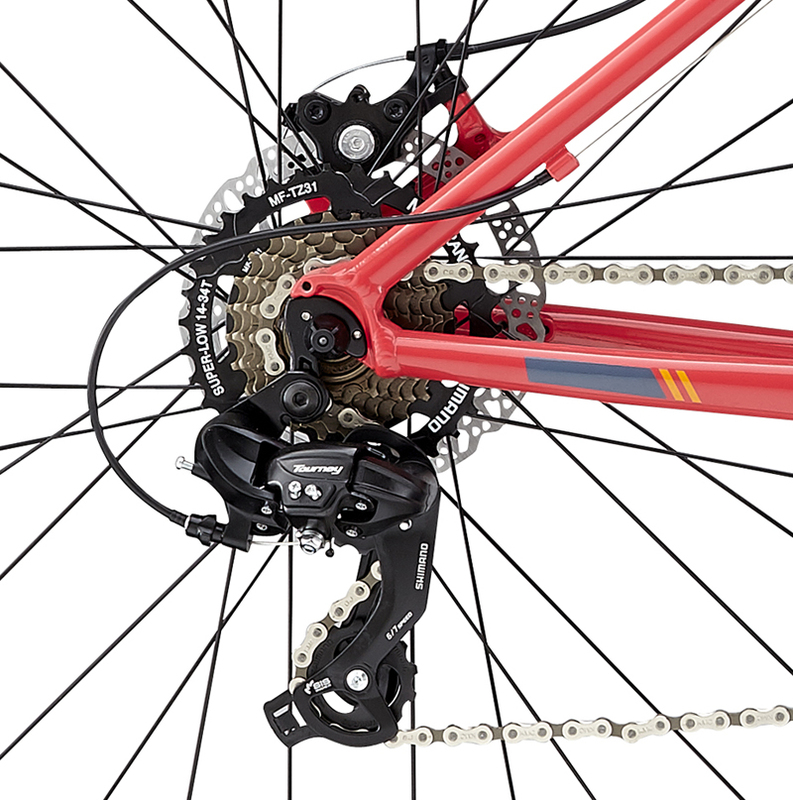 The Addy 1.9 27.5 mountain bike has a Shimano 21-speed drivetrain with Shimano Tourney derailleurs. 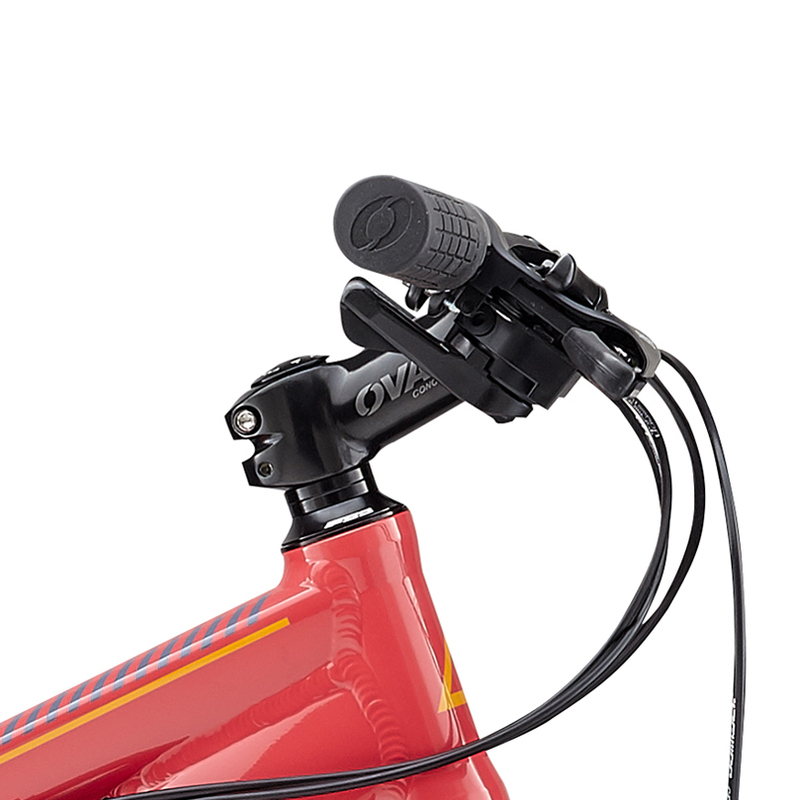 Shimano EZ Fire shifters click and push the chain up and down the cassette with ease. 21 speeds means there's a gear for nearly every grade or condition. Finding the perfect gear means you'll stay moving forward and in control. 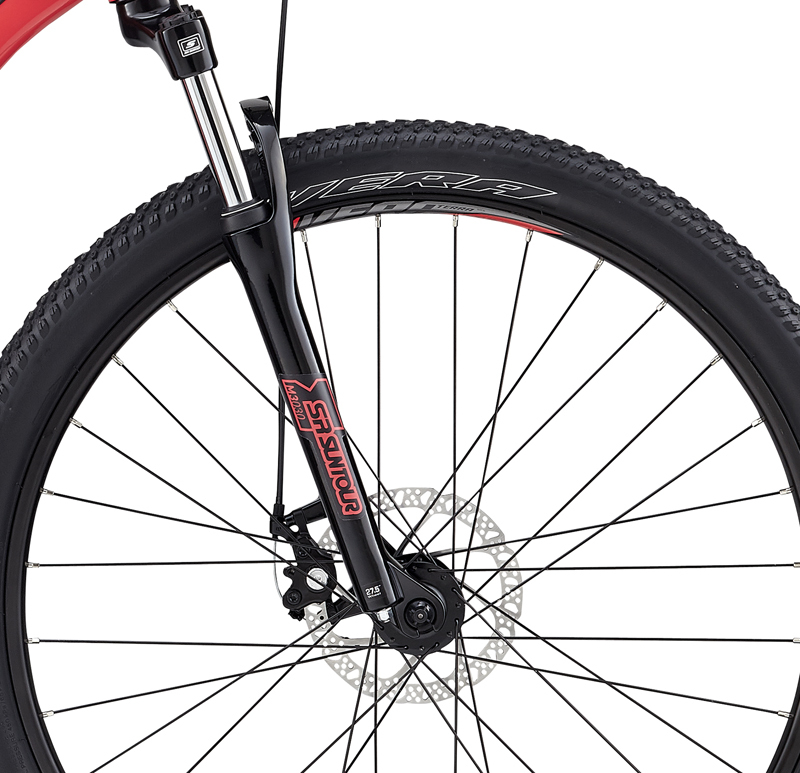 Stout Vera Terra DPD 16 27.5" wheels and speedy Vera Eos tires offer great traction. Finally, a women's specific saddle and cross country handlebar with a 15mm rise and a gentle 9° sweep keep your body upright for improved frontend control. • A2-SL aluminum frame is both strong and lightweight. • Women's Specific geometry allows for a shorter top tube and more standover clearance. 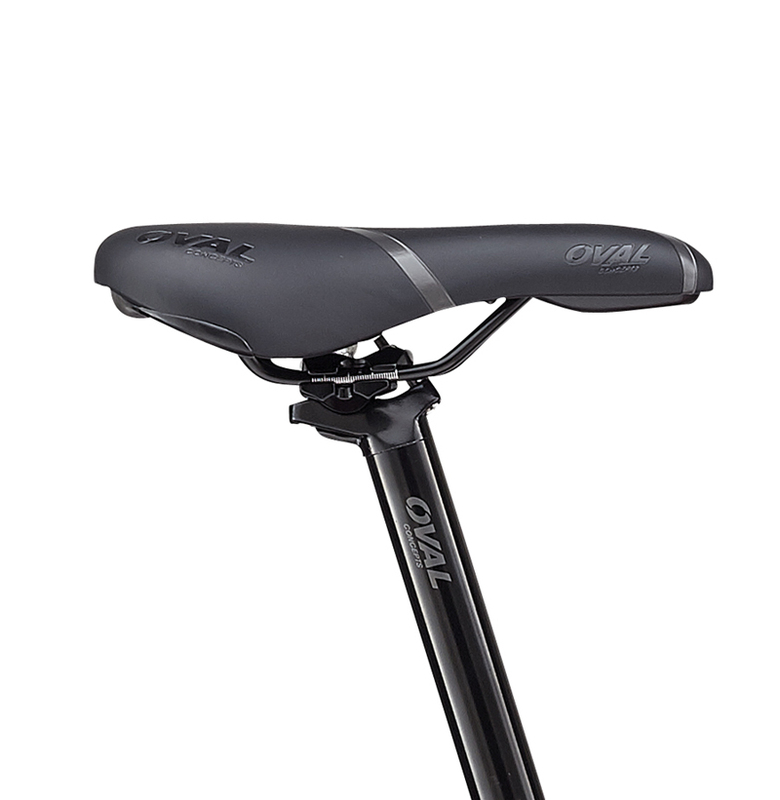 • Women's Specific saddle, narrower handlebars and reach-adjust brake levers. • Tektro Mechanical Disc Brakes provide superior stopping power in all weather conditions. • Vera Terra 27.5" wheels roll over trail obstacles better than 26" wheels and don't take as long to spin up as 29" wheels. 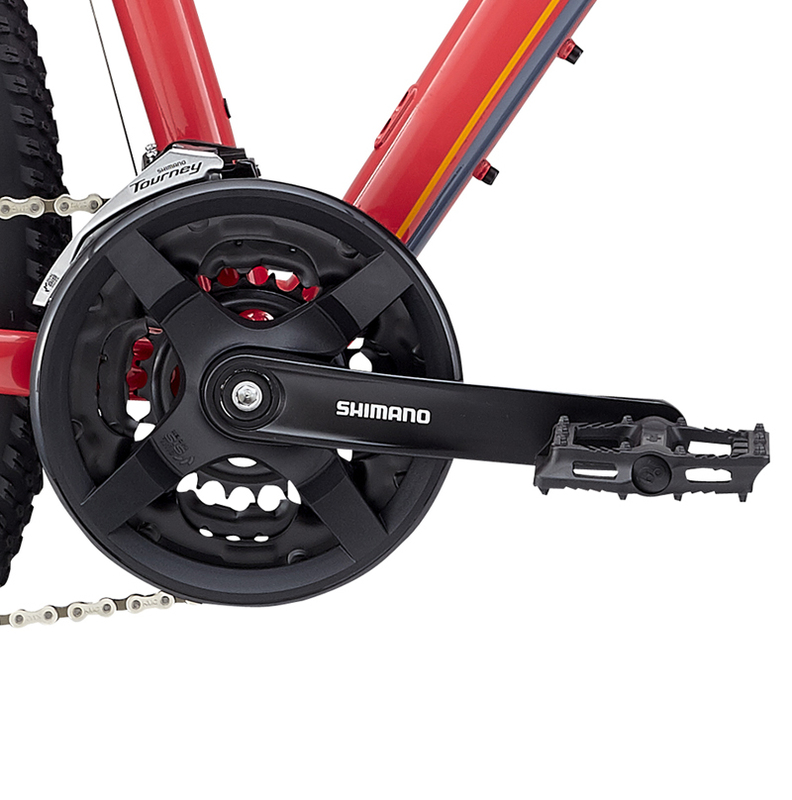 • Shimano components provide optimal performance.